"TOMAS CASTAñO has been selected as a finalist in the Art Revolution Taipei 2016. 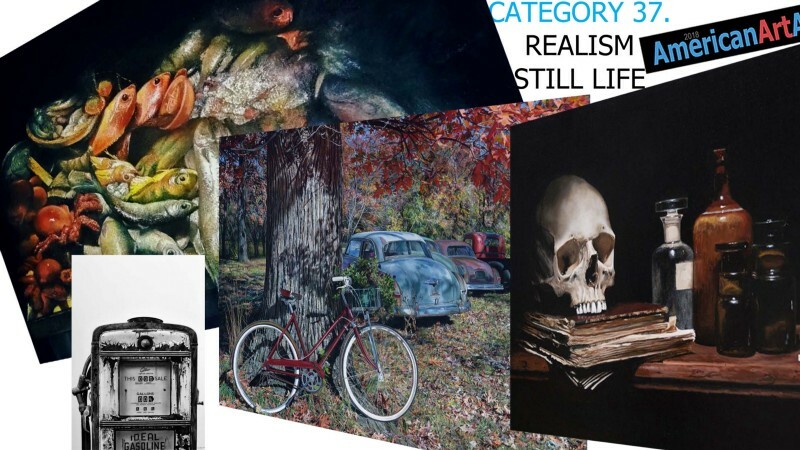 In this contest were presented 4058 pieces of 73 different countries Result of the 2016 International Artist Grand Prize Competition This is a moment to celebrate for Taiwan now has the honor to take a look at the artworks of the best thriving artists from around the w"
Still life painters from Romania, USA, Spain and China dominate Category 37 of the 2018 AMERICAN ART AWARDS. From an early age, my life has been rich with culture and art. I was born and raised in Baia Mare, Romania. I was surrounded by paintings that adorned the house, my parents’ friendship with various artists, and a childhood spent near the “Colony of Painters” have inspired and nurtured my passion for fine arts. My first contact with art takes place at a very young when I followed the courses of a local public art school for three years — “The Public School of Art” from Baia Mare. These studies form the foundation for my first successful project. After art school, in 2012, I graduated top of my class the faculty of Fine Arts at the Technical University Cluj, achieving the highest grade for my dissertation and final art piece. This gave me the opportunity to exhibit my work in several collective exhibitions. I became a member of the “Artist’ Union of Romania” in 2015, which confers recognition in the professionalism and dedication to art. In 2016 I completed a master’s degree, achieving once again the highest mark in my year. In the same year I held my first solo exhibition „Life in the Shadowbox” ; which confirms my place amid the artistic scene of Baia Mare and I got recognised by being featured in the commemorative album „120 Years, The artistic Centre from Baia Mare”. It is a valuable method to represent and reflect on the notion of time and space; as it contrasts with current scientific thinking, the generators of new ideas and technologies; but which can not diminish the extra dimensions given to those objects which are brought to life through our sensory and cognitive experiences, when observing still life. These simple compositions of everyday objects; represent the conceptual nature of the passing of time. Through our human nature we are forever trying to stop time — to make it eternal; therefore only through art that we can, for the time being, bring this wish to life. Perhaps technology; electronics; virtual reality environments will become vulnerable in the future; therefore everything that is stored on memory cards may get erased one day; but art is a repository of active memory through museums; where art remains current. 1ST PLACE SZILARD SZEKELY ROMANIA www.szekelyszilard.com “Anodyne For Sorrow” 20x28" Oil on canvas. 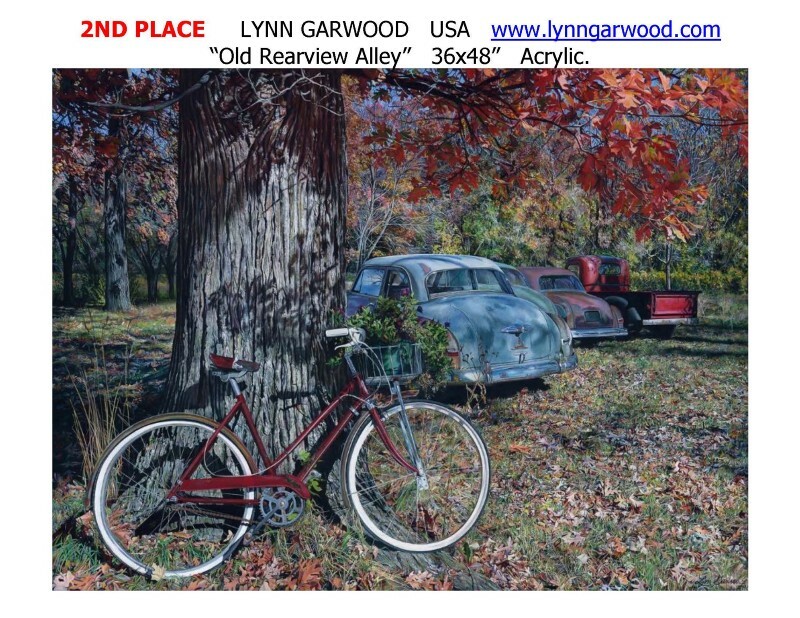 2ND PLACE LYNN GARWOOD USA www.lynngarwood.com “Old Rearview Alley” 36x48” Acrylic. 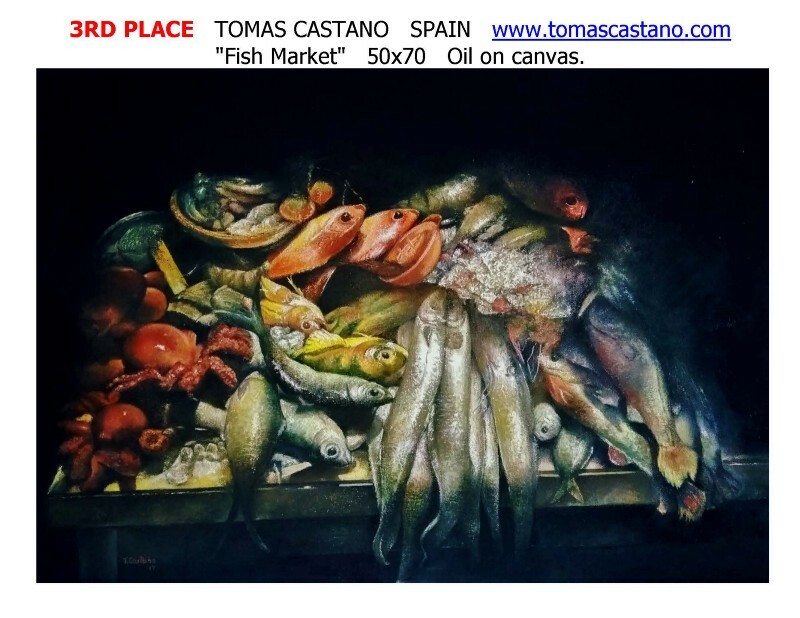 3RD PLACE TOMAS CASTANO SPAIN www.tomascastano.com “Fish Market” 50x70 Oil on canvas. 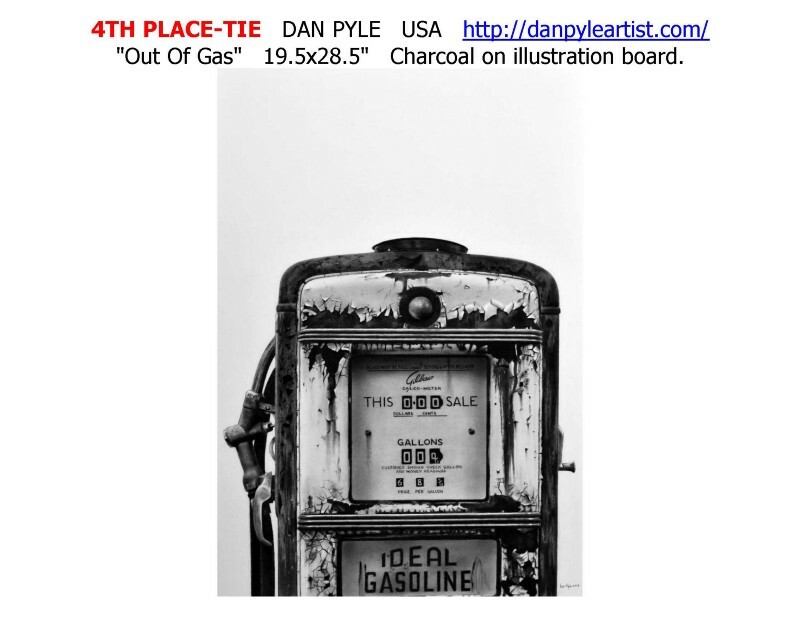 4TH PLACE-TIE DAN PYLE USA http://danpyleartist.com/ “Out Of Gas” 19.5x28.5" Charcoal on illustration board. 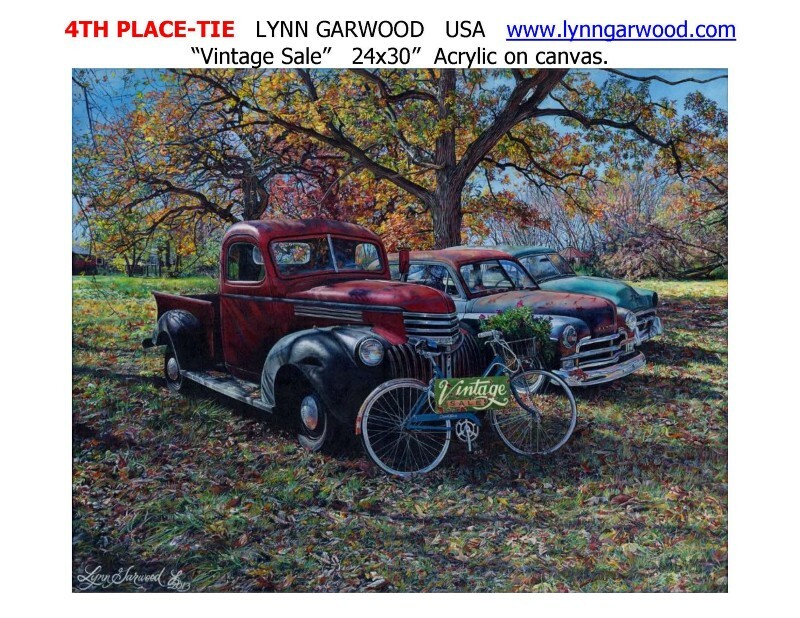 4TH PLACE-TIE LYNN GARWOOD USA www.lynngarwood.com “Vintage Sale” 24x30” Acrylic on canvas. 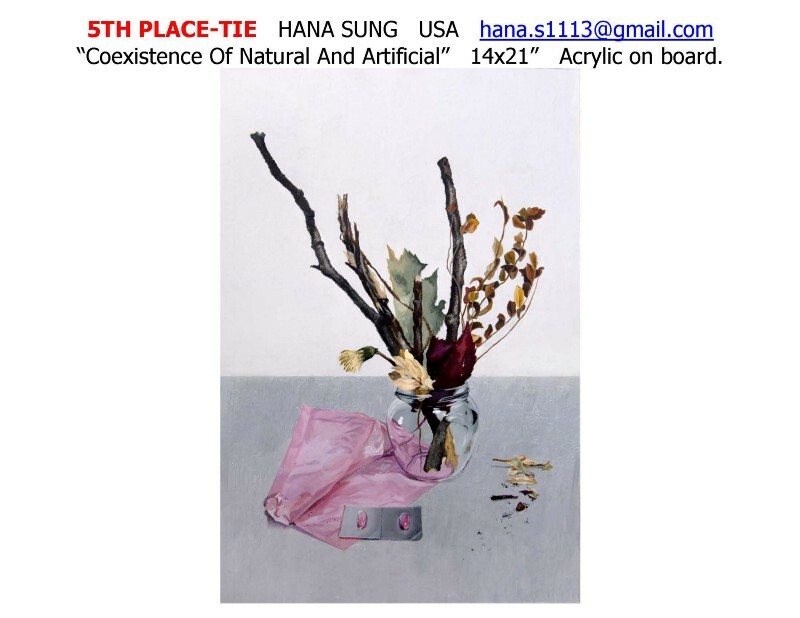 5TH PLACE-TIE HANA SUNG USA hana.s1113@gmail.com “Coexistence Of Natural And Artificial” 14x21” Acrylic on board. 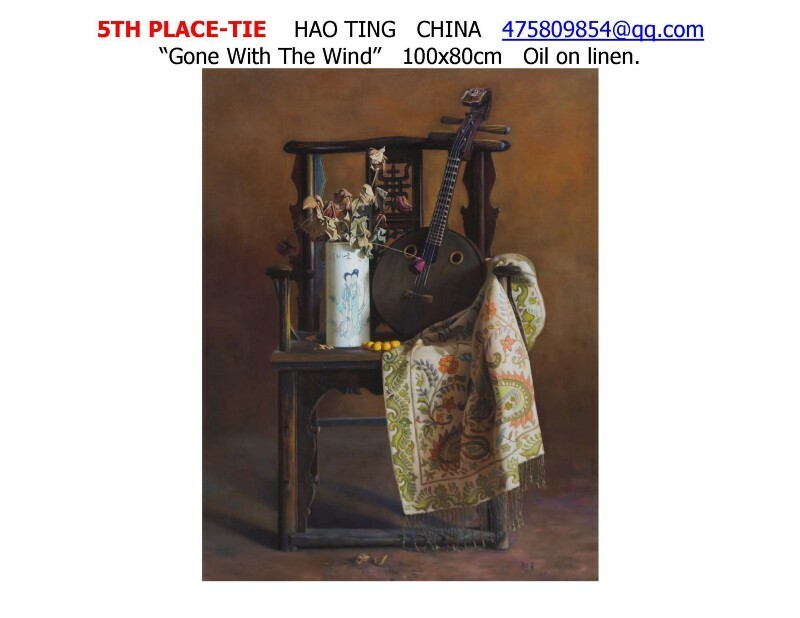 5TH PLACE-TIE HAO TING CHINA 475809854@qq.com “Gone With The Wind” 100x80cm Oil on linen. 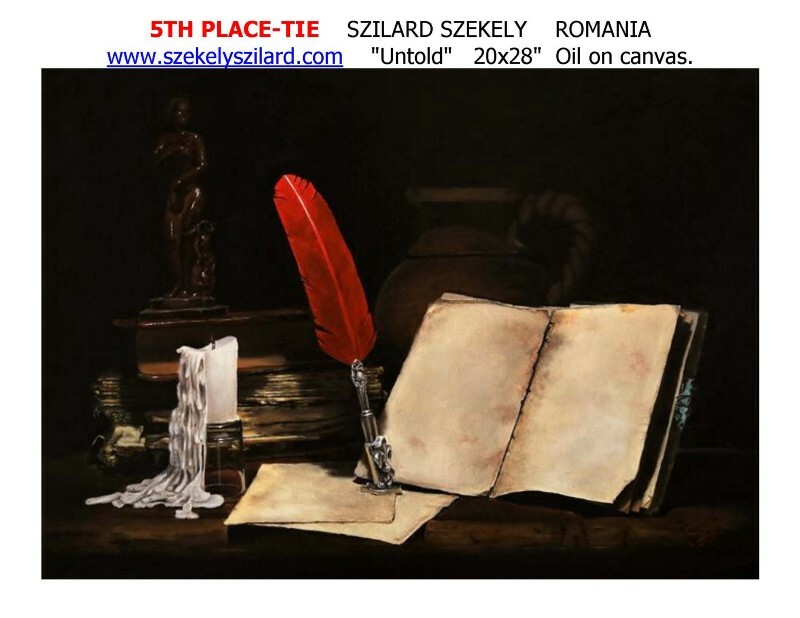 5TH PLACE-TIE SZILARD SZEKELY ROMANIA www.szekelyszilard.com“Untold” 20x28" Oil on canvas. 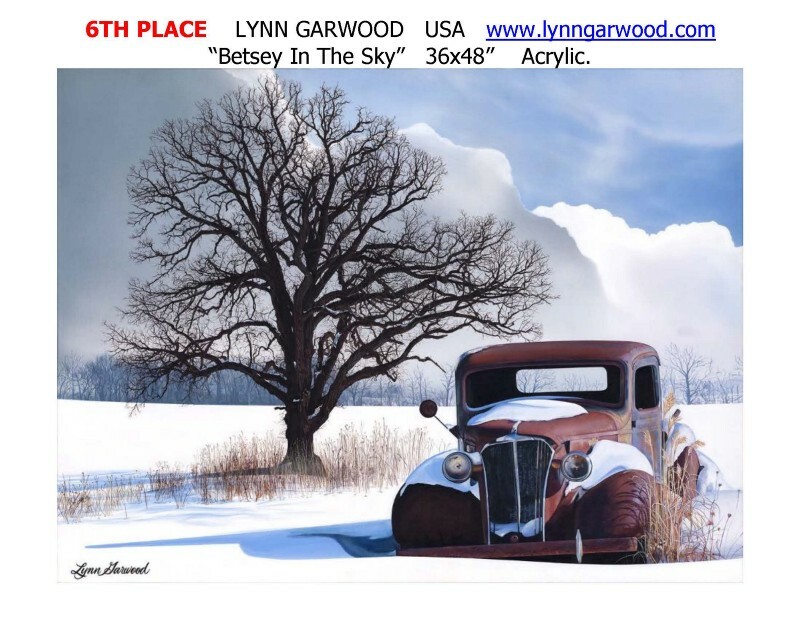 6TH PLACE LYNN GARWOOD USA www.lynngarwood.com “Betsey In The Sky” 36x48” Acrylic. Again TOMAS CASTAÑO has been selected as a finalist in the Art Revolution Taipei (Taiwan) 2017. 109 outstand in this extremely competitive contest and will be exhibited from 21stApr until the 25th 2016 at Art Revolution Taipei. One of the finalists will be announced winner on 26th April. It is our upmost pleasure inviting you to join us and indulge yourself in this feast of fine art. Este Art Gallery “Pequeñas Joyas del Realismo” , Santander, Spain. Vivearte 2013 – Art Gallery María Nieves Martín-Villafranca de los Barros-Badajoz, Spain. Ibero American Contemporary Art-Ara Art- Seoul-Korea.